Send in your question to the Blog Moderator to have it published on this Blog. The link is below. Also, you can read the answers, or post an answer to Warren’s curved track question by using the COMMENTS link below. 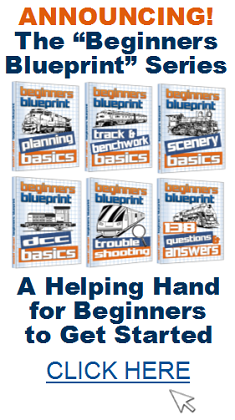 “Hi, I’m not flush with cash and thinking ahead I know I’ll need to buy/borrow tools to put down my first sections of track. What will I need to do this? Click on the COMMENTS tag below this posting to view the track laying comments, or to add a comment or answer to help Bobby. 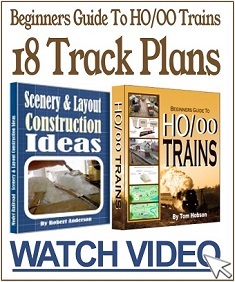 “I have an HO layout that is on 3 levels. 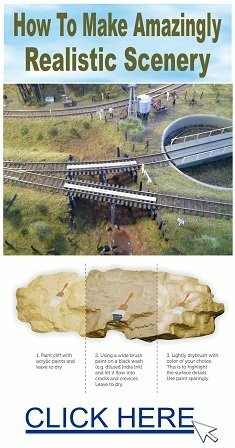 Yesterday I had a derailment on a track joint in the start of a track segment where the middle level has a climbing segment to get to the upper level. Everything was fine up to that point but after the derailment the entire upper level is dead as a doornail. Prior to the joint where the derailment occurred, everything is normal. There is no “clicking”, no flashing lights or other obvious signs on the track decoder board. I’ve pulled the plug and allowed time for an attempted system reset without success. I’ve swapped locomotives without success. If you would like to assist Mark, you can post a comment, photo, or drawing by using the comments link under his post. By clicking the link you can also see suggestions from others after they have been approved by the Blog Moderator. 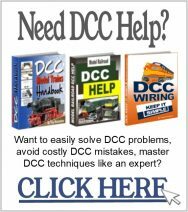 If you would like to supply an answer to Dan’s DDC wiring question, or just view the answers, then click on the ‘comments’ link below. 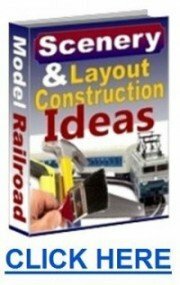 240V 10amp Extension Cord Wire on Model Railways? What’ the correct wire thickness? Here is a tip for who is interested tin and coal sacks. I brought ready made corrugated plastic sheets then I made my own Iused the brought sheet an foil tray from a meat pie cut it to shape then placed the foil on top. I run a finger nail down the creases to make it very realistic. I brought three boxes of tips you uses for roll ups from a pound shop pressed them a little to the desired shape. I removed some filling from the top end and placed model coal in and painted the sacks. Hopefully John can upload a photo in the comments section of his post.